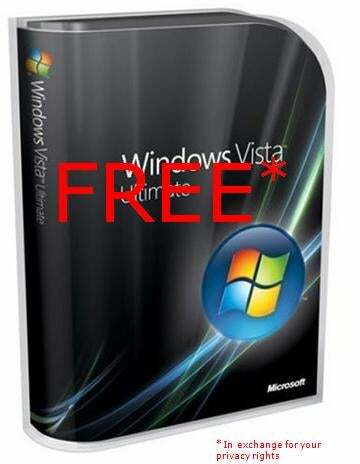 Want a free copy of Windows Vista Ultimate direct from Microsoft, no piracy required? Don't care about your privacy? Have I got a deal for you! Microsoft is offering up free copies of Vista Ultimate, Office Ultimate, Money Plus Premium, Student with Encarta Premium and Streets and Trips, all for free. All you've gotta do is allow them to track your every move for a few months.